I poked around a bit and eventually settled on making scrappy patchwork circles, using a drunkard's path acrylic template set I had on hand. The exact templates are no longer available, but it's like the 4" blocks in this set. 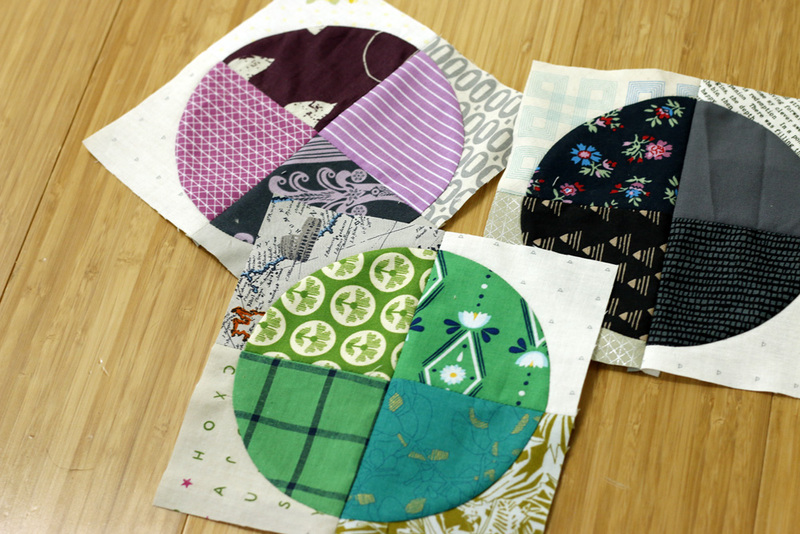 I trim the assembled circle to 7" unfinished, so that the circles loom large without too much background fabric. This is a color scheme I felt my way into. 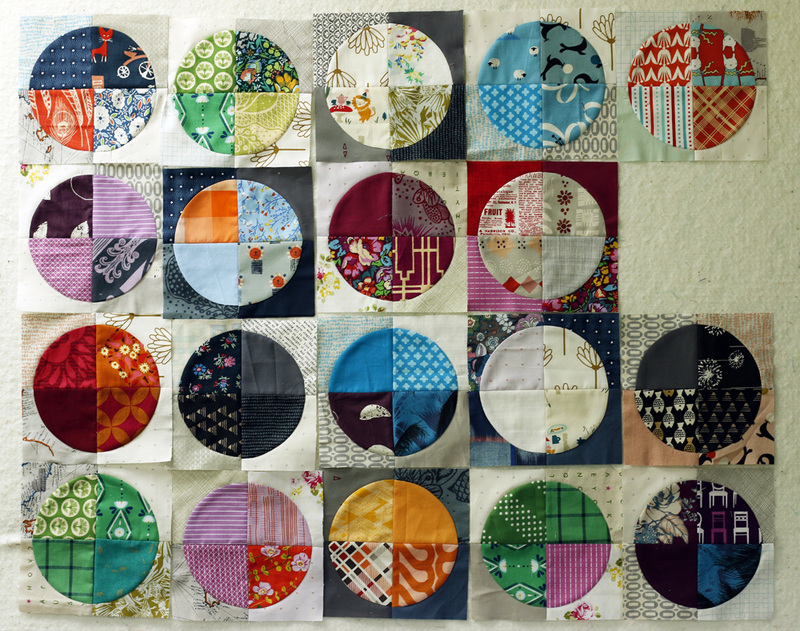 I started, rather simply, with circles made up of matching scraps with low volume backgrounds. Next, I made a few with swapped out colors, for contrast or to coordinate with multi-color prints. That was fun! Scraps are nice to play with. It's not too risky to try something new. I experimented with some circles with reverse-value: white in the center and gray/navy/black surrounds. I even tried using color as the background fabric, as with the lower two blocks above. I really like how these look scattered in the mix. 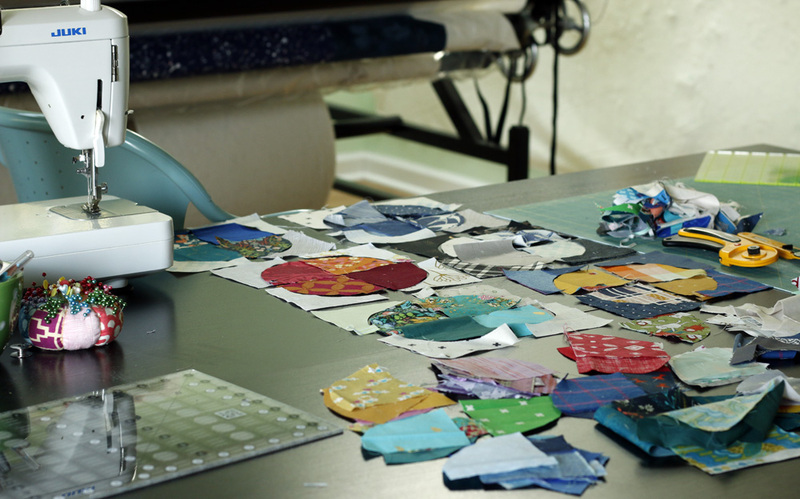 They help the patchwork feel not so flat and predictable. The red surround is not my favorite, though. 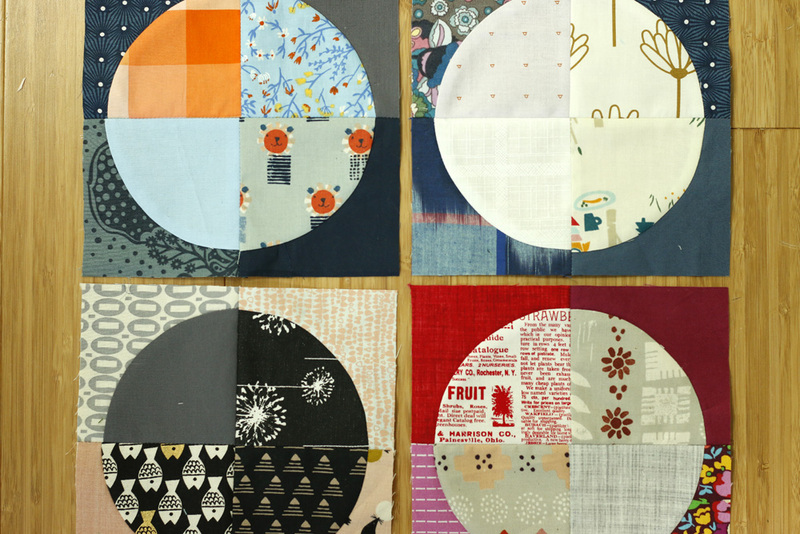 From here on out, I'll stick to grayscale surround fabrics and keep the color in the circles. At this point, I have a sense of my color scheme. It's scrappy, but leaning towards richer jewel tones, a la autumn. Somewhere along the way, I decided not to use yellow and to use orange just as a highlight, in combination with dark backgrounds.